She thought it would make a fun activity to sew blankets, so 15 ladies or so dropped by for a few hours or stayed all day to work on quilts. I took most of these pictures early on when there weren't as many people...more helpers came later in the day. 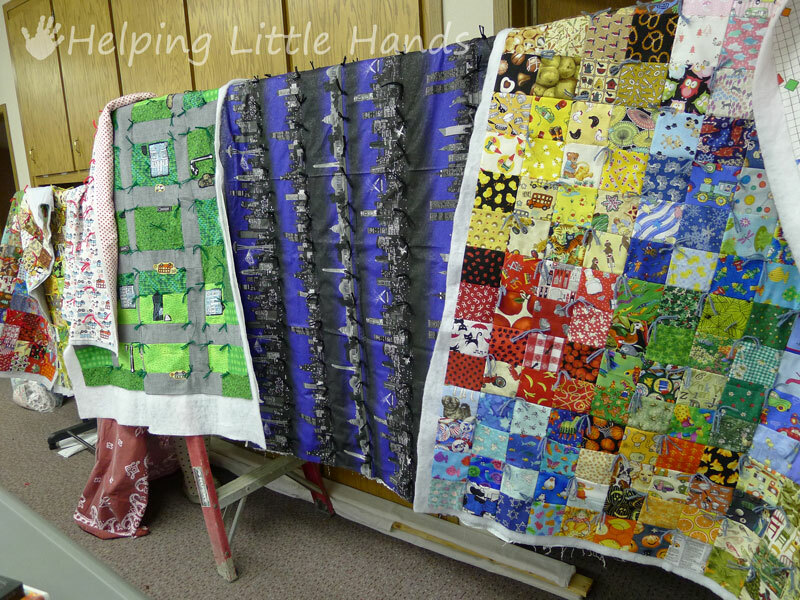 I had a few quilts tops ready ahead of time to get us started, including a 3 I-Spy quilt tops. I also brought the extra I-Spy squares I had. 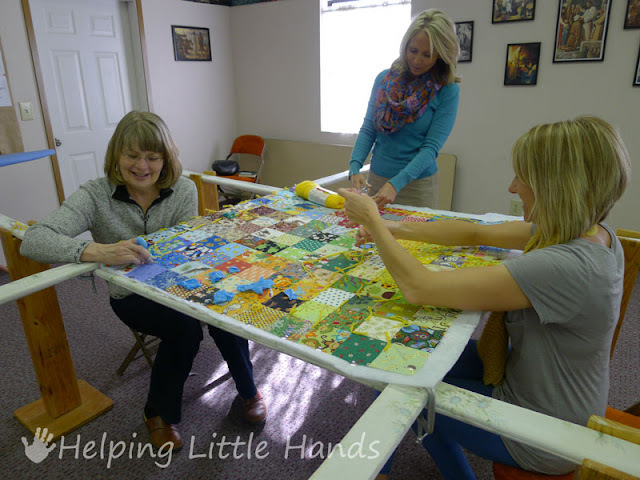 Several of the ladies had fun sorting them out into different color groupings and one friend said she had sewn quilt squares together for the first time ever...and loved it. 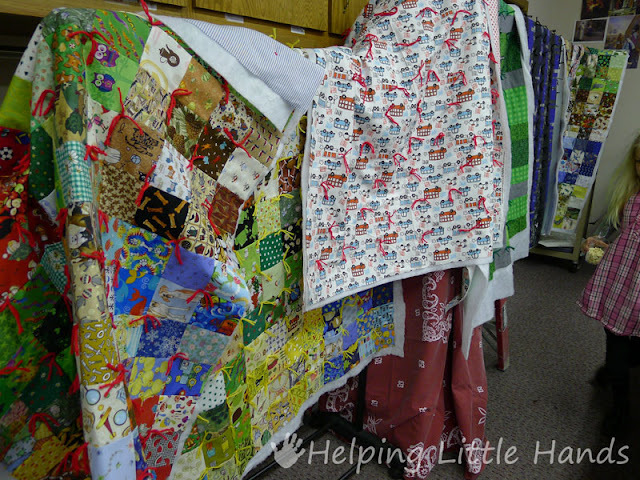 I haven't counted them all up, but I think we finished 11 quilts, although most of those still need the bindings, plus there are a few other quilt tops ready. 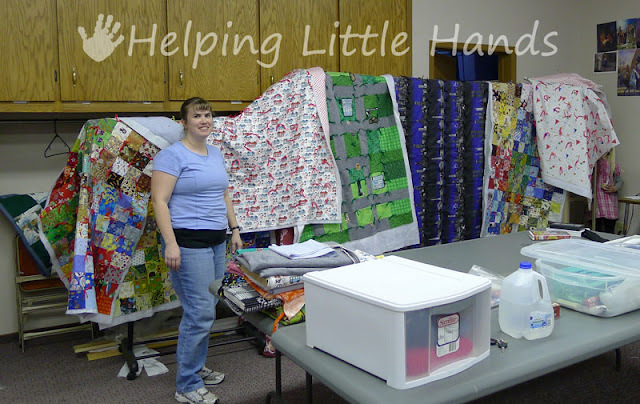 All told, I think we'll have 15 quilts or so to deliver in this first batch. I'll get some better close-ups of these before I pack them up...but tonight I'm tired...not so much because the quilting was that hard, but after 3 weeks or so of a cold, I'm more congested than ever. Ahhhh! Polly, this is awesome, and so inspiring. Thank you for hosting the event, and for taking and posting all of these great photos! I hope that you get over your cold soon. 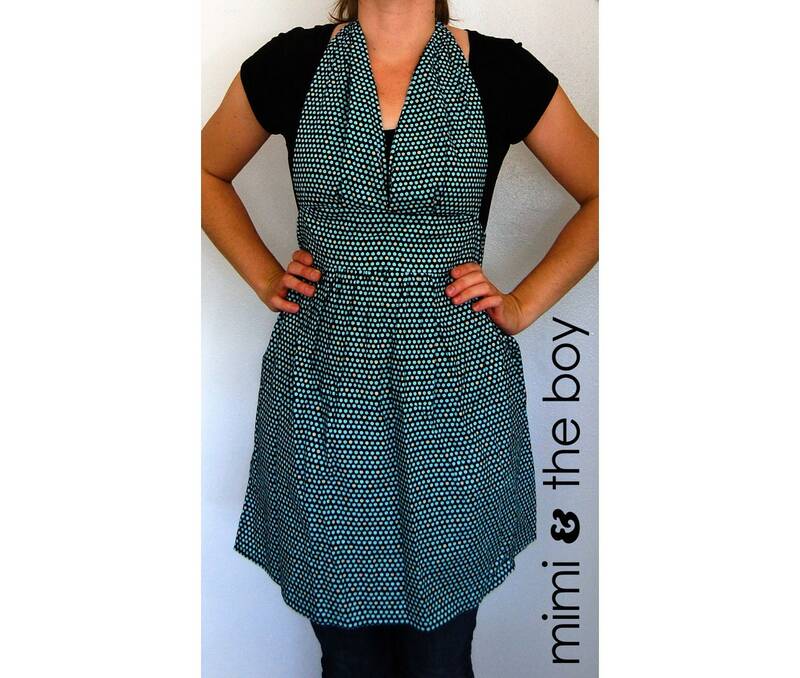 Bless you and your sewing group - and many, many thanks. P.S. -Please let me know if anyone tells you they want to join our guild - I'll be glad to send an application (or the link online). Wow, what an amazing way to create together. 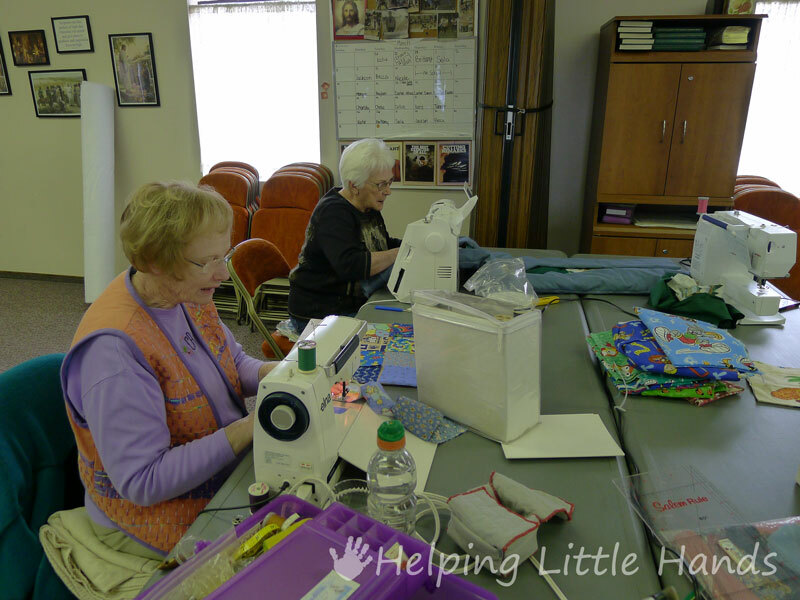 I'll bet all the helper ladies had a blast sewing and chatting all day. 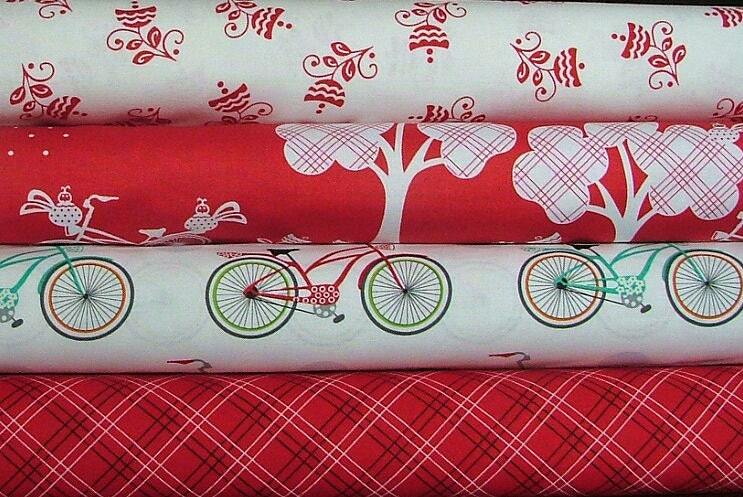 No wonder the pioneers loved their quilting bees! Good for you and your group! Polly,You are truely an inspiration and whitness to many. We love to hear stories like this at the hospital. My name is Jane Humphries and I deliver the blankets to our patients. I truely look forward to someday meeting you when you bring the quilts to the hospital. 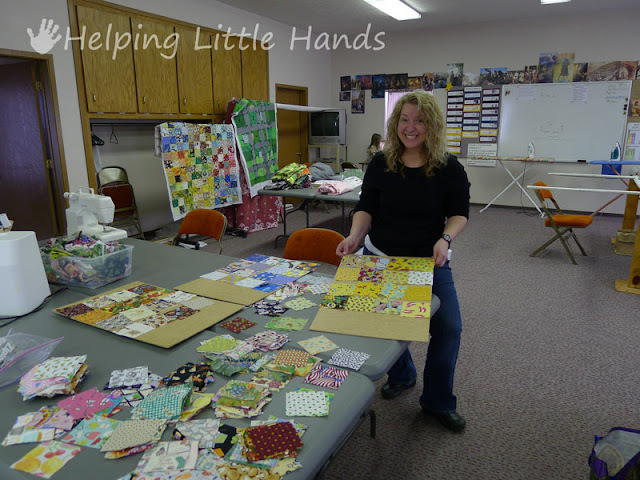 Keep up all the good work that you are doing, and thank all of your quilters for their time and commitment to this project. What a wonderful idea. I love what we can do when we all come together, even for just ONE day! 15 kids (and more, I'm sure!) will be very blessed by your hard work.